Welcome to the latest edition of the WNR, filled with the copyright, high def and gaming goodness that you know and love. Nothing much new to update from my end. I ordered a Chromecast a few weeks back from Amazon (to ship it to Australia via one of those relay shippers), but alas, the lack of stock is becoming a bit frustrating. I’ve received numerous notices from Amazon about the shipping date, giving me all sorts of different information, so who know when I’ll get one. Not that it’s of that much use to me in Australia, since the built-in Netflix support appears to used hard-wired DNS settings, which rules out geo-unblocker services until the device can be hacked or an easy workaround found (which I’ll definitely write about on streambly if/when it is found). Anyway, the news. Not this again. I guess the Obama administration has run out of things to do, now that it’s commerce department is again trying to revive one of the most controversial parts of the very controversial SOPA bill – to make unauthorized streaming a felony. If all of this sounds familiar, then it’s because it is. Check out this WNR from November 2011, in which the same issue was discussed due to an independent piece of legislation urging for the same (which was then rolled up into the mega monstrosity that was SOPA and PIPA). The obsession that the creative industries, via their political lackeys, have with the whole streaming/felony thing comes down to the fact that unauthorized reproduction and distribution of copyrighted works is counted as a felony, whereas public performances (such as streaming) is only counted as a misdemeanor. This is the discrepancy that all these various proposals attempt to address, to uniformize (I’ve been assured that this is an actual word) and to unify the differences . I guess it must be an OCD thing. 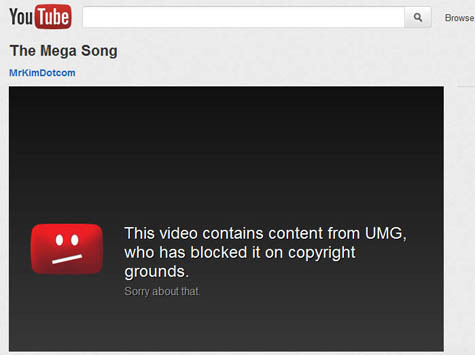 While I do agree that many of the people posting soul destroying covers of what was once a great song should indeed be locked up, I’m not sure that copyright infringement should be the main reason for doing so. I will also note that this is the same administration that is defending the unauthorized reproduction, distribution and streaming of every conversation that everyone has ever had (where’s my damn copyright protection? ), and that these changes may see YouTubers get harsher sentences than the people who destroyed the global financial system. Technological solutions to piracy don’t usually work well, but when they are capable of causing collateral damage, they become dangerous. That’s what copyright news website TorrentFreak found out this week when their website was blocked by Sky UK’s court mandated piracy filter using a flaw that can allow virtually any website to be blocked. Apparently, when an already blocked website, such as TV torrent indexer EZTV, changes their DNS settings to point to another IP address (regardless of whether the IP address actually belongs to the website or not), Sky’s system automatically adds the new IP address to the list of blocked addresses. This means that EZTV could in fact add Google’s IP addresses to their DNS, and Sky’s system will block access to Google for its four million customers. This is what happens when you replace due process with an automated system, a badly programmed one at that. Even the full legal system with its due process is by no means infallible to unjust outcomes, but one where there is zero accountability and legal recourse was always bound to fail, with or without a serious flaw like this one. Technology can improve efficiency if used correctly, but taking legal short cuts is not making the process more efficient, just more flawed. Blu-ray and digital revenue is helping to offset the decline in DVD sales and rental revenue, according to new data released by the DEG. While packaged media sales declined by an alarming 13% in the second quarter of 2013, compared to the same quarter a year ago, overall revenue remained relatively steady. This is largely due to Blu-ray sales again showing double digit growth, 15% in the first six months of 2013 compared to the first half of 2012; and also digital revenue rising by an impressive 24% in the same period (with electronic sellthroughs up an amazing 50%). Subscription based Internet streaming was a particular highlight within the digital umbrella, with spending up 32.13%. For Blu-ray, sales of new releases was up 19%, compared to only 8% for catalog/classic releases. Rental revenue continues to decline, by 5.5% for the first half of 2013. So while Netflix streaming was growing by 30%+, its disc rental business was most likely in a relatively steep decline, as subscription rental revenue for the whole industry declined by 21%. 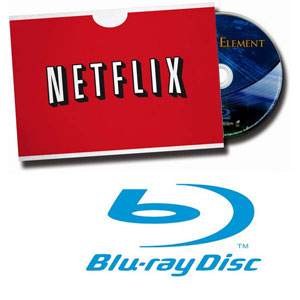 The same data also showed that 5 million new Blu-ray players were sold in the first half of 2013, bringing the total number households with at least one Blu-ray players in the U.S. to 61 million. In short, Blu-ray, digital good; DVD, rental bad. 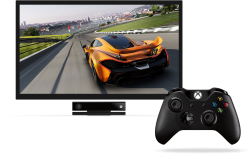 The Xbox One received a much needed boost, literally, this week as Microsoft officially revealed that the Xbox One’s GPU speed has been upped from 800MHz to 853MHz. This 6.6% performance boost gets the Xbox One’s performance a little bit closer to the PS4, but the PS4 still looks set to easily be the more powerful machine. Pure GPU shader throughput on the PS4 is still expected to be nearly 40% greater than that of the Xbox One, even after this latest GPU speed bump. And this is despite the Xbox One being $100 dearer than the PS4 at launch, but most of that is due to the inclusion of Kinect 2.0 with every console. On paper, this seems to give the PS4 a huge advantage when it comes to the game’s visual quality; but in reality, developers of multi-platform games tend to go with the lowest common denominator, as opposed to doing extra work (which costs extra $$$) on one particular platform to leverage its hardware advantage. But as developers become more accustomed to working on both consoles, they might begin to find less resource consuming ways to get the best out of the PS4, and so expect later stage PS4 games to look better than their Xbox One counterparts. And of course, PS4 exclusives will be able to take advantage much earlier on. I’m 80% certain at this point that I probably won’t buy an Xbox One, not until it’s a bit cheaper at the very least. At the same time, I’m maybe 80% certain that I will own a PS4 before I own an Xbox One. 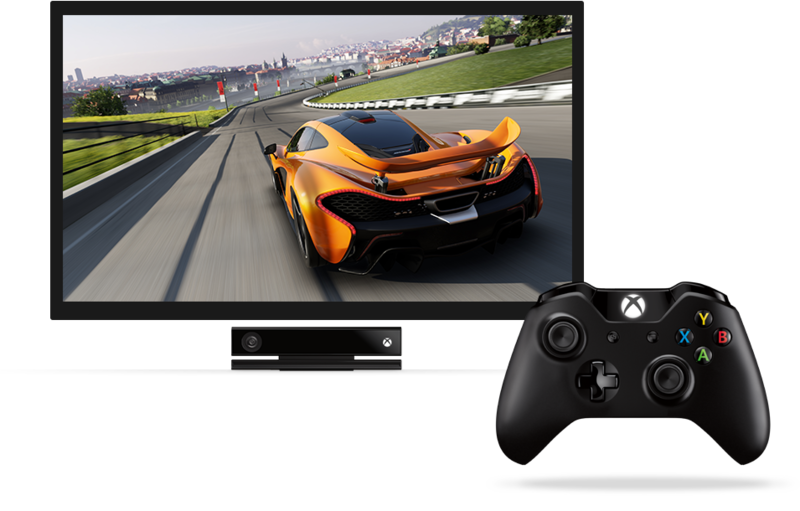 Microsoft’s DRM snafu; the price difference; and the hardware superiority, the latter two being in favor of the PS4, is what is largely responsible for my stance. That’s it for the week. Hope you enjoyed it. See you next week. This entry was posted on Sunday, August 11th, 2013 at 8:03 pm	and is filed under Copyright, DVD, Gaming, High Definition (Blu-ray/HD DVD/4K), News Roundup, PS3, PS4, Video Technology. You can follow any responses to this entry through the RSS 2.0 feed. Both comments and pings are currently closed.